A performance, installation and social artist Konstantin Dimopoulos creates installations on social and environmental themes. 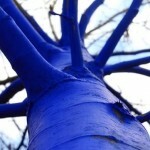 In addition, his controversial public artwork includes “The Blue Trees”, about global deforestation. 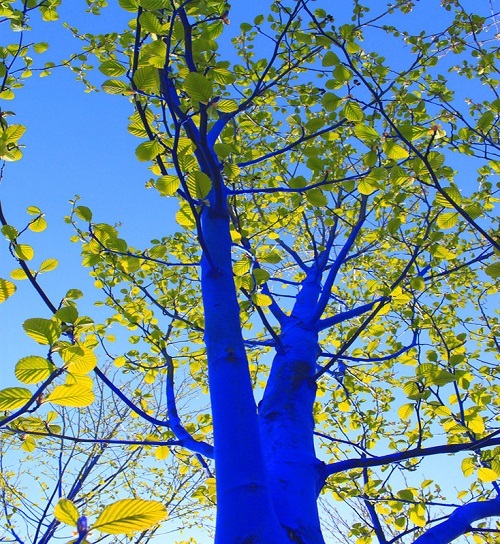 Meanwhile, in 2005 he received the Victoria Grant for his Blue Trees installation in Melbourne. However, Melbourne city Councillors prohibited the installation at the last minute. 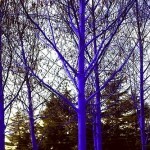 Besides, The Vancouver Biennale has invited him to create The Blue Trees as part of their performance art program in mid-2010. Born in Egypt in 1954, Konstantin Dimopoulos now resides in Melbourne, Australia. 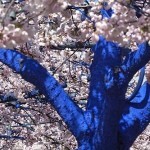 According to the artist, these installations are his ‘voice’ about global issues, a visual platform to effect change. 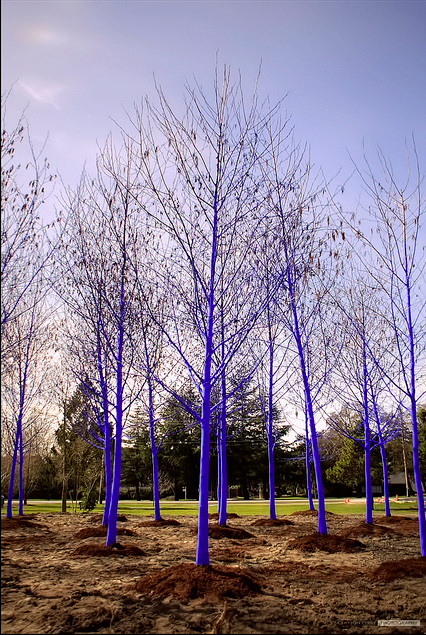 Grounded in his sociological and humanist philosophy, the Blue Trees installation uses transformation and change through color. 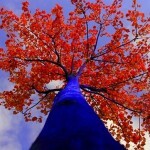 Noteworthy, it was a feature installation in the 2011 Vancouver Biennale, Canada. 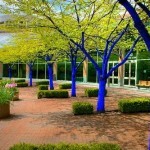 In addition, the artist created the similar installations around the United States and in New Zealand. 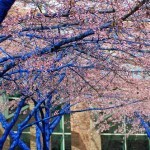 Besides, Dimopoulos will continue to create The Blue Trees in other major global cities as part of this ongoing installation. Other social art installations by Dimopoulos include Black Parthenon, a light installation about cultural appropriation. Also, Virus, ‘Level 4’ and Savage Garden about environmental ecocide; and Paradise Lost about domestic violence. Black Pharaohs was about the artist’s experience as a young Greek migrant from Egypt to New Zealand in the early 1960s. As a sculptor Dimopoulos has created his signature linear sculptures that are in public spaces and private collections in Australia, the United States, Europe and New Zealand. These works are defined by color, mass, repetition and form. 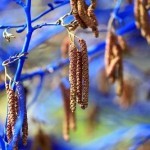 Many are dynamic, choreographed by the wind, bringing an organic simplicity into the urban or natural environments.